Finding the right television for your living room can be a difficult thing to do because you have so many choices available to make. This is when you should use some advice on how to select the right size television for your living room to guarantee you get the right one for your house. Without this advice you could end up selecting a television that is going to be so large you cannot get into the room or so small you need to have a binocular to get to see any of the details on the screen. The first thing you need to do is determine the average viewing distance from the television to the seats of the viewers. 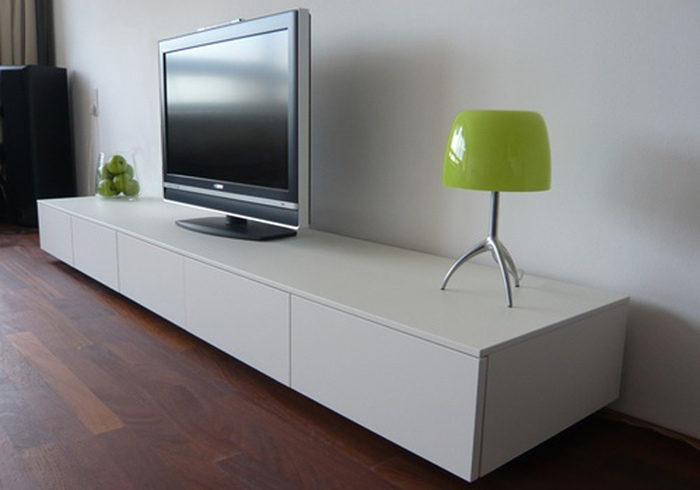 With figuring this out, the sales person can recommend the dimension of the television that is ideal for your space. Actually, you can figure this out on your own by following this formula. To get the minimum dimension of the television that is ideal for your space, measure the distance of the potential spot of the television from the viewer’s area in inches and divide by three. Divide the distance by 1.5 to find out the largest screen the room can support. For example, if the distance is 60 inches divided by three, the smallest television ideal for the space is 20 inches. On the other hand, to get the largest screen, 60 must be divided by 1.5 which is equivalent to 40. In other words, you need to get a television set that is no smaller than 20 inches but not bigger than 40 inches. For your living room, you may want to select the largest television size that you can so that you will be able to see the television no matter where you are sitting at. If you are planning on using the television for any of the other rooms, you will want to select a smaller television to guarantee it is not going to take up too much space in your room. Finally you will want to make sure you consider the lifestyle that you live. If you do not watch television a lot you will want to make sure you are not picking the biggest television on the market because it could be an expense you do not want to have. However, if you are watching television all the time you may want to pay for the larger one as it will be worth it in the end. Shopping for a new television is exciting, but it can also be a challenge because you are going to have a hard time narrowing down the television you want to have. This is when you should know more about how to pick the right sized television for your living room. When you take these tips into consideration, it will be easier for you to select the right one and you know that you are not going to be crowding your living.